Cycling amongst these mountains is a unique and inspiring experience; a network of roads and trails enable you to discover the most extensive and continuous stretch of ancient forest in Spain. To journey through this land is to travel one of the most peaceful unspoilt mountainous regions in Europe. The retreating glaciers left a landscape with deep ravines and high mountain passes, a hidden system of valleys and green pastures that have protected the flora and fauna here for millennia. Together, the three mountain ranges of Cazorla, Segura and Las Villas form a key water-catchment area in which southern Spain´s most important rivers the Guadalquivir and Segura Rivers rise. This is a watershed area with a climate subject to both Atlantic and Mediterranean influences. Roaming the region's woodlands are valuable wildlife species, such as the Ibex, Mouflon, Red and Fallow Deer and Wild Boar, as well as some of the richest flora in the entire mediterranean basin, with over 1,200 species catalogued to date. With its 214,300 hectares, the Cazorla, Segura and Las Villas Nature Park, is not only the largest of all Spain's parks, but also a Biosphere Reserve and officially designated Bird Sanctuary. The spring water in these mountains is icy cold, with just a hint of pine. Springs, rivulets, brooks and streams are everywhere; in the ravines, on the slopes, along the paths and trails... As often as not there is no discernible track leading to these pools, the sole visitors being the animals of the forest; some waterholes tend to be the haunts of wood pigeons, others of Deer or Ibex, and some of Wild Boar. This same terrain was once trodden by Prehistoric Man, as witnessed by the paintings near the Tíscar Pass; by Iberian tribes, who established settlements like that of Toya in the vicinity of Peal de Becerro; and by Romans, who founded the town of Bruñel near Quesada. In its wake, the "Reconquista" left impregnable castles and a string of legends like that of the Herrerías Bridge, said to have been erected in a single night to clear the way for Queen Isabel the Catholic and her troops, as they marched on Granada. After the Moors were vanquished, these lands were formally delivered into the stewardship of the Military Order of Santiago (St. James) and were exploited as common property until the 18th century, when the area finally passed into the hands of the Ministry of Inland Revenue. In the 19th century, all woodlands and forests became state property. Thanks to the fertility of its pastures, these upland tracts have been one of Andalusia's most important animal husbandry and ranching areas. Here too are some of the most picturesque towns and villages in the whole of Andalusia, such as Cazorla, La Iruela, Hornos and Segura de la Sierra. The roads and trails that now pass through these valleys make for the perfect cycling destination. Challenging climbs, miles of quiet roads unfettered by traffic or stop signs, or high density population centres. 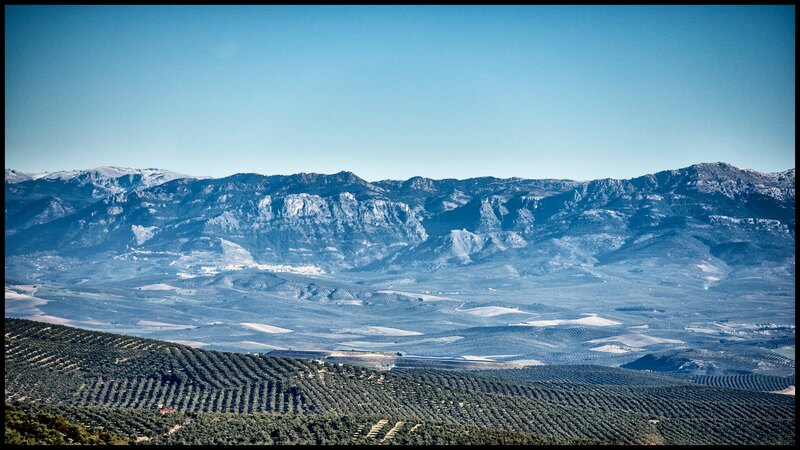 The roads wind through high pine forests in the mountains and meander through oceans of olives groves in the foothills. The mountain bike trails take you to the heart of the national park where vehicles are banned and only the most ardent walker ventures. Mountain biking here is truly adventurous, the trails are not manicured and groomed, are rarely travelled by anyone, and let you get close to the parks greatest attraction, its wildlife. Cycling in these lands is a privilege, rewarding those with broader horizons. The park is dotted with Cat 1 and Cat 2 climbs deserving a place on any serious cyclists palmares, and the mountain biker can be assured of some of the best trails in Spain.